1. Cut up the brownies to appropriate sushi size portions. Try rounding the sides with your hands or cut a bit more just so they are not exactly square. 2. Coat the top with buttercream icing. 3. 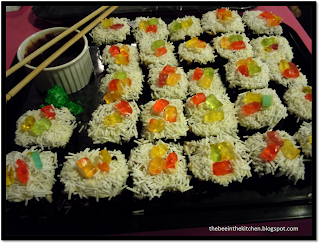 Cover the top with white sprinkles. 4. Decorate with cut-up gummies. 5. 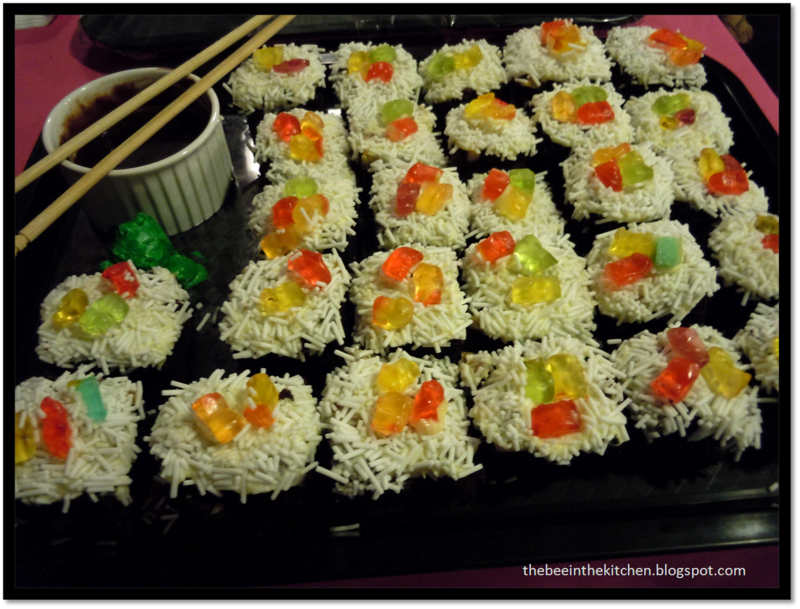 Serve with "wasabi" (mix whip cream and green food color) and "soy sauce" by mixing chocolate icing and cream. Heat to melt. (Hot chocolate sauce is yummier too :) ). - Use Gum Tapes and roll the side to add the "nori" effect.